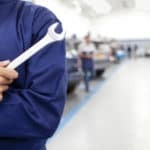 Celebrate National Car Care Month by bringing your vehicle in for a tune-up or scheduled maintenance here at Fred Martin Nissan. 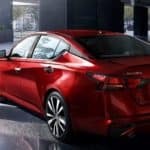 The Nissan Altima vehicle is a five-passenger midsize sedan that is perfect for Akron, OH drivers who prioritize safety. Fred Martin Nissan a Car Gurus 2019 Top Rated Dealer! Fred Martin Nissan was recently named a 2019 Top Rated Dealer from CarGurus. CarGurus is an online automotive research and shopping website that assists users with comparing local listings for used and new cars. 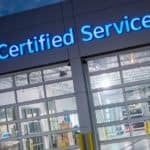 This year marks the 5th Annual CarGurus Top Rated Dealer Awards, which honor the best-reviewed dealerships for providing exceptional customer service…. What’s New For The 2019 Nissan Rogue? 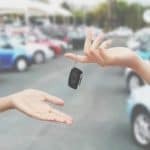 According to Cox Automotive, the demand for gently used vehicles is giving the sales of new vehicles a run for their money. This is because spending-savvy vehicle shoppers are looking to glean the most bang for their buck. Slightly pre-owned Nissan models are only a few years older than their new counterparts and have low mileage….